Get a copy today for the Little Creep in your life. 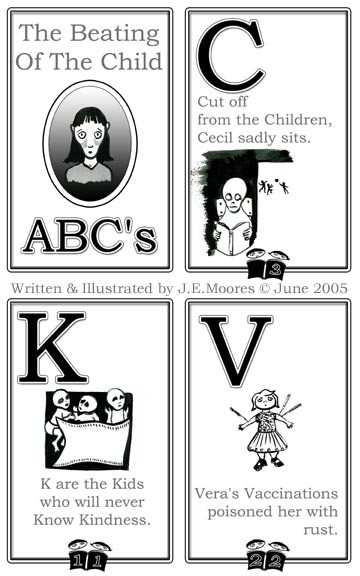 Deliciously naughty, The Beating Of The Child ABC's is a strange way to learn your letters and numbers, and maybe a few of life's most difficult lessons as well. Darkly entertaining, this primer is not for every child. A great gift item for the little punk rock kid on your list. 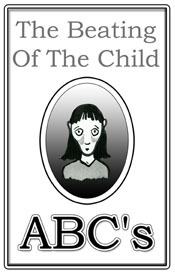 Anyone with a love for the macabre will enjoy a copy of The Beating Of The Child ABC's. Got a friend with a piercing or tattoo? They'll LOVE a copy of The Beating Of The Child ABC's. It's a great laugh, and a must for any Goth library.